THE last time Mercedes-Benz tackled the Outback, it came off second-best. In 2011, it chose the tortuous Canning Stock Route to relaunch its famed G-Class heavy-duty off-roader. Gruelling corrugations over 1800km took their toll and every vehicle bar one suffered shock absorber failure. The survivor was a local vehicle fitted with heavy-duty oil-filled shocks. 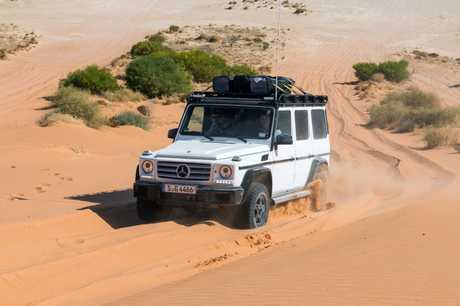 Fast-forward six years and Benz has staged another epic desert expedition to launch the G300 (aka G-Professional or G-Pro) wagon. 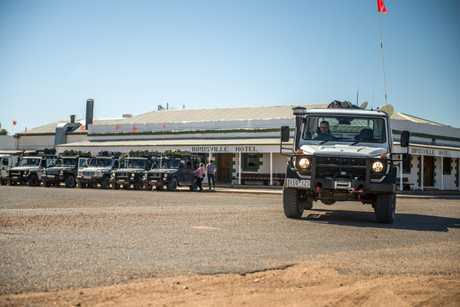 Outside the Birdsville Hotel are two wagons, two cab-chassis ute versions and a pair of left-hand drive G500s ready for round two with Australia's harsh desert country. 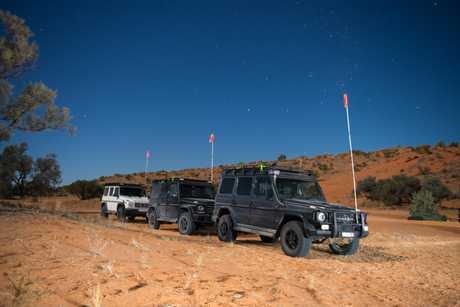 The G500s belong to renowned adventurer Mike Horn, in Australia as part of his Pole 2 Pole Expedition. He arrives fresh from an unassisted solo crossing of the South Pole that took 56 days and he next tackles a solo crossing of the Arctic. 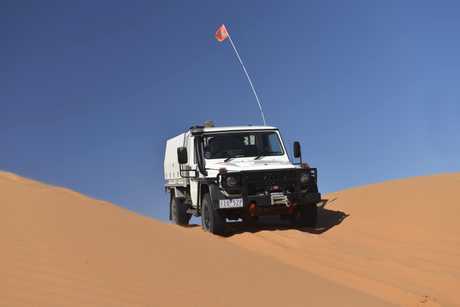 Joining our Simpson expedition, which was Horn's idea, are his daughter Jessica and factory G-Class test-driver Erwin Wonisch. The vehicles assembled at the Birdsville pub are set for the east-to-west crossing, the more punishing way of tackling the desert. Prevailing winds make the eastern faces of the dunes steeper than those on the western run-up. 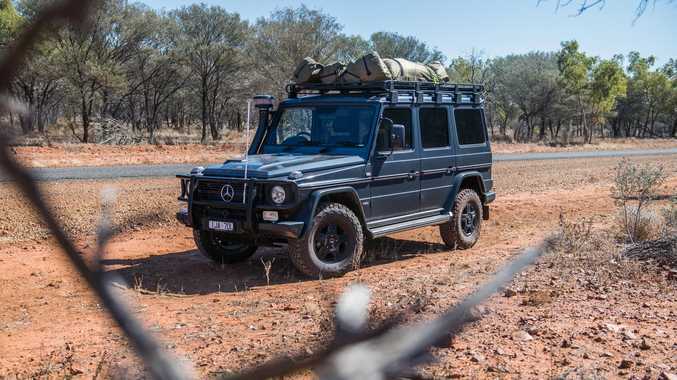 Based on the same heavy-duty platform as the G-Wagens used by the Australian Defence Force, the G300 Pro is a stripped-out version, in contrast to the luxury G350d and G63 AMG. The G-Pro carries almost 40 years of off-road heritage and forgoes luxuries such as carpets, climate control, satnav, power windows or even Bluetooth audio. It is a bare-bones workhorse made to take on the planet's harshest roads and terrain so crossing the Simpson should be well within its abilities. Don't think that "stripped out” means cheap - the G300 wagon rolls into local dealerships this week with a list price of $109,900 and the similarly spartan cab-chassis is $119,900. A G350d with all the trimmings starts at $163,326. 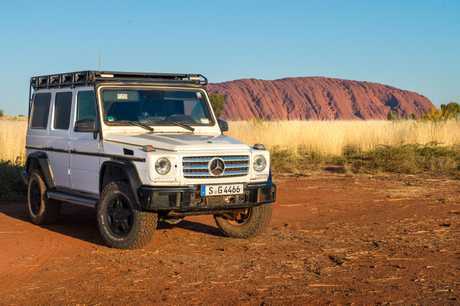 The Mercedes-Benz G-Class on an Australian Outback adventure. It may lack the niceties you'll find in other Benz products but the G-Pro doesn't skimp on off-road hardware. The ladder chassis rides on live axles suspended by coil springs and - this time - durable oil-filled shock absorbers. There are differential locks for the front, centre and rear diffs, each activated by the driver as needed depending on the difficulty of the terrain. The tyres are chunky and if you lift the rubber mats that are the only floor covering, you'll find removable plugs to drain water from the "hose-out” interior. 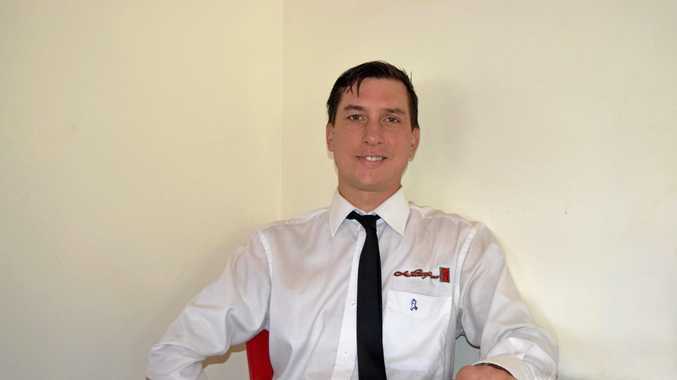 Electronic traction control is active for general driving and the minimalist safety gear includes anti-lock brakes, stability control and front airbags for the driver and passenger. The wagon has four bucket seats in Australia - in other markets, the Professional is fitted with a rear bench seat that has only a lap belt for the centre passenger. Engines start with a low-tune version of Benz's long-serving 3.0-litre V6 turbo diesel, making just 135kW/400Nm - in the G350d it puts out 180kW/600Nm. In the Professional, the transmission is a basic five-speed automatic while the luxury G350d employs a seven-speeder. 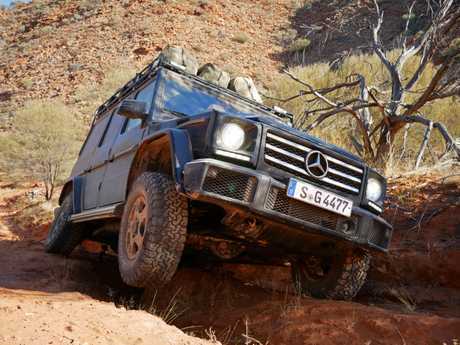 All G-Wagens have permanent four-wheel drive. Over three days in the desert, the G-Wagen restores German pride by easily coping with enormous sand dunes, rocky gibber plains and expansive clay pans on the way to the welcoming warm pools of Dalhousie Springs. But the journey isn't over. From Dalhousie the convoy follows dusty back roads towards Alice Springs before breaking west to arrive at Uluru. Much to the relief of the Mercedes-Benz team, all shock absorbers keep working. The sole mechanical problem is when an overzealous Horn drives over a dead bush and a branch nicks a power steering fluid line that has to be repaired on the track. The G-Pro range won't be for everyone but it's one of the few vehicles that fits the bill as a teak-tough, go-anywhere wagon. Even in town, the standard bullbar and 16-inch off-road tyres give the Professional more street cred than the luxury siblings, which are more Hollywood than hard-core.